Most seasoned diners know that a refined restaurant experience is much more than just the act of serving you good food on a plate. It’s a hospitality business in every sense. The passionate restaurateur yearns for their customers to have a wonderful experience — not just so you’ll come back and tell your friends about it — but because, quite frankly, it’s part of their DNA. Chefs, in particular, crave approval and desperately want to make you happy. It’s a big part of why they went into this trying business. (It certainly wasn’t for the money.) Running a restaurant is about as hard a job as it gets. So is the customer always right? Does anything go? Well, yes and…no. While a top-notch restaurant should bend over backwards to accommodate its guests, the reality is that the relationship ought to, in fact, be a bit of two-way street — so everybody can win. 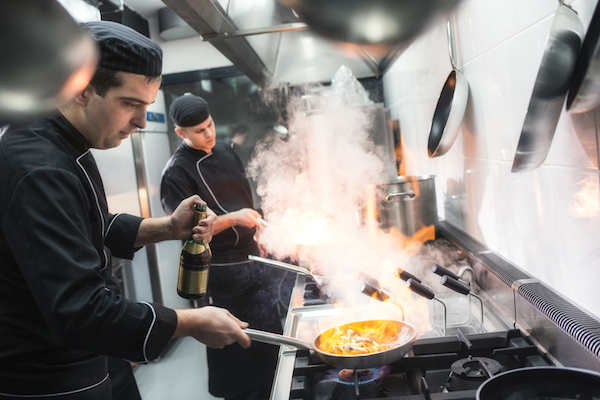 With a bit of background into the creative and operational process of running a restaurant based on personal experience and recent interviews with several chefs who wish to remain anonymous, here are five things diners do that drive restaurant workers crazy. Incomplete parties: Restaurants essentially make their money much the same way airlines do: they sell time in their seats. This is perishable inventory, only with fine dining and expensive ingredients in the fridge, even more so. The equation is simple: available tables x minutes the restaurant is open x cost of the items you order. There are precious few minutes each day when a restaurant must earn all its money, so every minute a table or individual seat sits idle, that is revenue that’s gone forever. So, when your party is incomplete and the server sometimes doesn’t seat you, understand there is a method to the madness. Advice: Try to arrive together and on time, be a bit patient if you’re not, and ALWAYS let the restaurant know if you need to cancel as soon as possible so they don’t lose an opportunity to fill the table. And, please never no-show for your reservation. Table breaks: The process of preparing and serving a variety of menu items for a large table can be a choreographic miracle. In sophisticated kitchens, there literally can be dozens of cooks working on one meal to simultaneously ensure that the poached egg atop of your crisp frisée salad is deliciously runny at the same time that your date’s fettuccine is perfectly al dente. The chef acts as the kitchen’s conductor, making sure everything is in synch and just right. When a server cues that you are, say, getting close to finishing your appetizer, this culinary orchestra jumps into motion in order to send out all the various plates at the same time and at the exact right preparation and temperature. Keep that in mind when you wander out to take a 20 minute phone call mid-meal. It can throw the kitchen into a tizzy as they try and keep your various dishes at the right temperature while trying to guess when you might return. Advice: If you must leave the table mid-meal, let the server or host know — or wait to slip out until the food has come, if possible. Modifications: A great dish — even a good one — is a calibration of texture, temperature, and ingredients, especially flavors like salt, acid, and fat. This process doesn’t happen by chance. It’s often the result of methodical, creative experimentation and refinement to get that balance precisely right. Asking the server to take an ingredient out of a dish is akin to sawing the leg off a table – the whole thing can “tip” over and all that hard work goes out the window. A number of chefs I’ve spoken with complained that it drives them nuts when customers arbitrarily eliminate a component, ask for it on the side, or – the worst form of insult – request to substitute something else entirely. The main worry is that when you remove an ingredient, the dish no longer tastes the way it was intended, and the experience (and their vision) is seriously diminished. Farro is an ancient grain, as old, at least, as ancient Rome. Long the food of peasants (who always seemed to be ahead of the curve when it comes to food that is sustainable, healthful, and tasty, if you really think about it), farro has been growing in popularity in this country for the last two decades and is fast becoming a staple on restaurant menus. There seems to be a bit of controversy as to what farro really is; however, according to The New York Times, “Farro is…a plant and grain all its own.” Known as emmer wheat in English, farro is nutty in flavor, toothy in texture, and a solid source of fiber, magnesium, and vitamin B. A word of caution: farro is not suitable for those who suffer from celiac disease or gluten/wheat sensitivities. Find out what OpenTable diners are saying about this great-for-you grain. Quebec Wants Chefs; Final Resting Places of Famous Foodies; Allergy-Friendly Dining App; Chef Fitness Tips + How Many Courses Are Too Many? 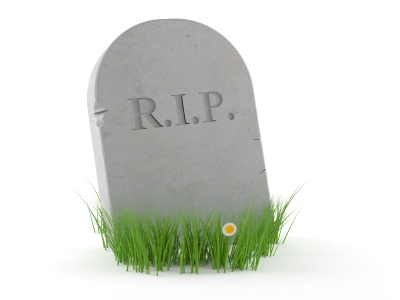 Rest in Pizza would be a more appropriate epitaph for the tombstones of great gourmets! 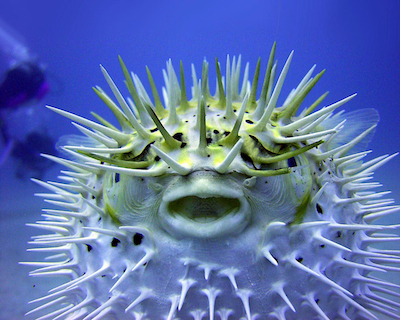 Rather than who would eat the puffer fish, I'm more interested in the poor souls that have to *catch* the puffer fish.